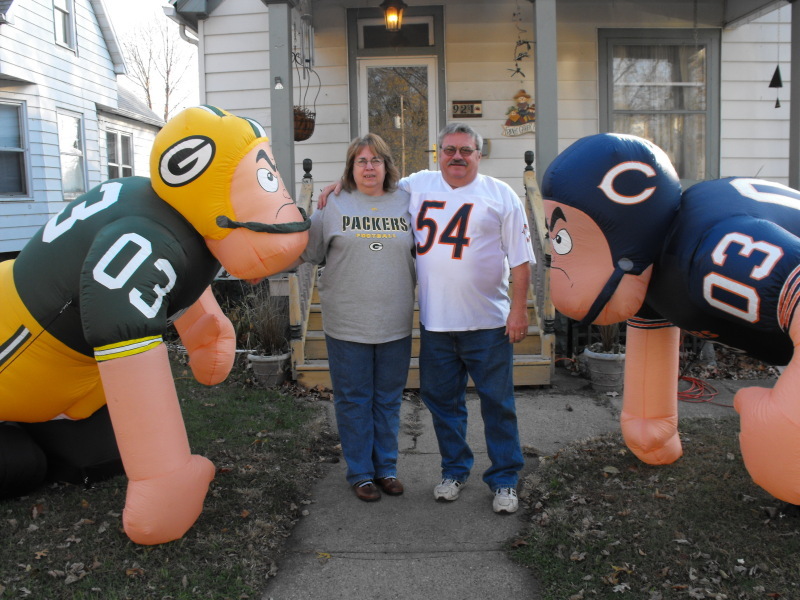 Packers and Bears fans can peacefully coexist. This guest post by Jackson proves it. The longest running rivalry in the NFL came to a climax in late January of this year. The Chicago Bears and the Green Bay Packers met in a game that would decide bragging rights for years to come. I belong to a family that is split down the middle regarding opinions of both teams. We watched the NFC title game in my grandmother's purposefully neutral living room. No paraphernalia of either team decorates her wall. It is rare that you hope your visiting relatives would have an unhappy trip back. This, however, was such an occasion. As grand as my exuberance was in hopes sending my extended family home frowning, it was greatly overshadowed by the entire population of Wisconsin's delight in winning a gubernatorial bet between the states. To exemplify the friendliness and respect the two states share for one another, Wisconsin governor Scott Walker, and Illinois governor Pat Quinn, entered into a bet on the outcome of the title match. Exact details of the bet were not made clear initially, but after the Packers victory it was announced that Quinn would have to travel north to spend some volunteer time at the Shalom Food Pantry in Kenosha . For seven long months Packers fans have been patiently waiting. Up until this past week, Quinn had maintained that he was too busy with political duties to make the trip. As an avid news follower, I don't doubt that he was in fact a busy man. Earlier in the week, Quinn was able to pull himself from the clutches of political turmoil and make the lighthearted trip to our wonderful state. He spent a morning at the pantry signing autographs, posing for pictures, but above all else assisting the good folks of Kenosha with their weekly shopping. Scott Walker respectfully thanked Quinn for his follow through on the wager and told the hair-netted politician that he looks forward to welcoming him back next year when the Packers win it all again. Ticket King Milwaukee Buys Your Tickets Too!